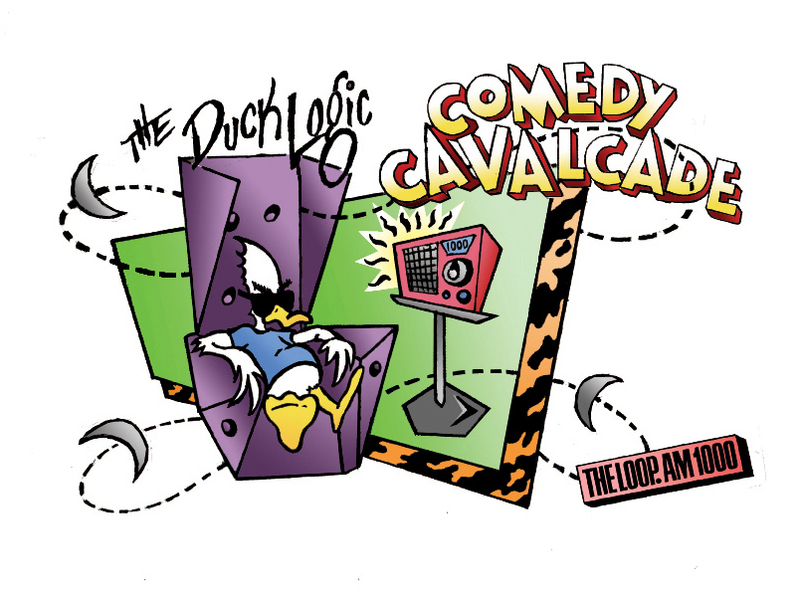 Comedy 101 Radio recently featured "Art For The Masses," a sketch from The Cavalcade, which you can hear directly below... and check out Comedy101Radio by clicking on the name in blue earlier in this sentence! The weekly 2-hour radio show that aired on WLUP-AM every Saturday night from 6-8 PM! Dan Witte of The Illinois Entertainer called it "...a conceptual dare the likes of which hasn't been heard here since The National Lampoon Radio Hour left the air." Since two of our audio comedy heroes were NatLamp (as fans called it) and Firesign Theatre... this couldn't have made us happier. With over 52 hours of recorded material we obviously couldn't put it all here, but these are a few of the things that made close friends, not-so-close friends and interested enemies laugh at the time. You will find the ongoing saga of tollbooth attendant #468, the punk rock group The Confident Seizures and their cover (with reworked lyrics) of our smash hit for Dr. Demento, "It's The Real World (After All)"*, plus commercials, songs and an advertisement for the gripping medical drama Trent Ashton, Subpar M.D. Maybe one day we'll have whole shows in these archives, who knows, but until then we hope you enjoy these snippets of our Cavalcade years as much as we enjoyed making them. *To hear the original version of "It's The Real World After ALL)" click HERE to take you to our Dr. Demento page!